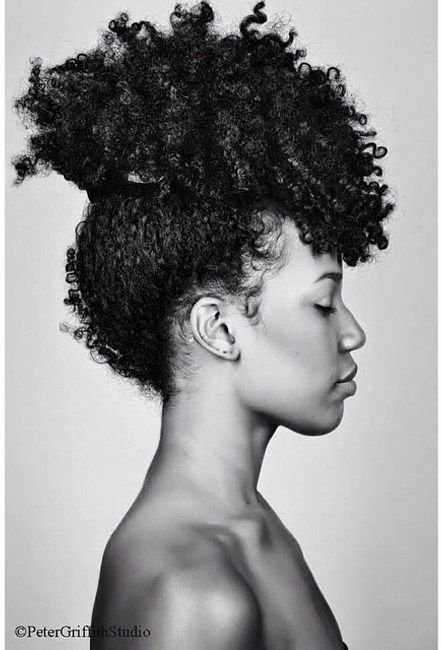 Bianca Alexa is the queen of the pineapple updo, has an enviable accent, and is one of the best natural hair YouTubers (but we may be biased, since she's one of our writers). So we were thrilled when she shared her pineapple updo with us. You see, we tend to wear our pineapples... to sleep. But Bianca's version is certainly cute enough to wear outside of the confines of our bedroom, especially on those days when your 5-day wash and go is looking worse for wear. 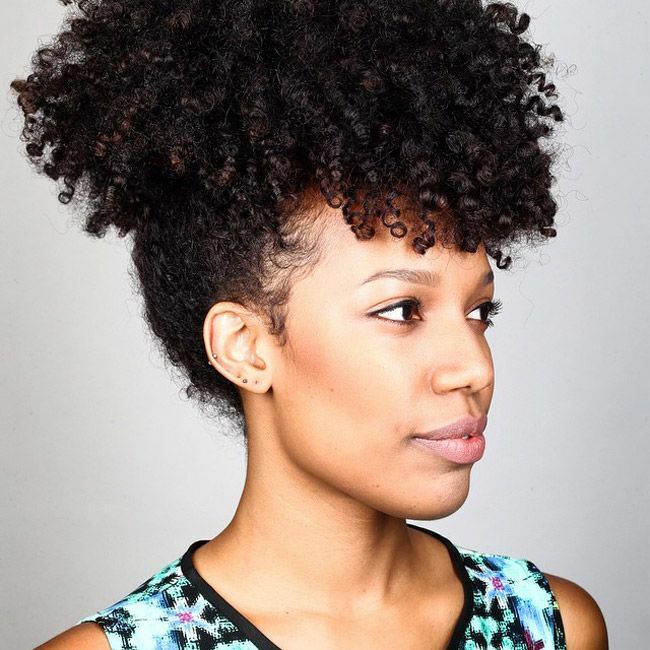 Bianca's tutorial is super quick and easy, making this style perfect for your rushed weekday mornings. Remoisturize your curls with your curl refresher of choice. Pull your hair up, like you're doing a very high ponytail. Bianca leaves out her bangs. Loosely secure the ponytail with the scrunchie. Bianca only pulls the hair through the scrunchie and does not wrap it a second time. Bring all of the hair forward to the front of your head. It doesn't have to look perfect, just use your fingers to play with it until you're happy with the shape. Want to see more of Bianca Alexa? You can follow her on Instagram and YouTube. Would you wear a pineapple out of the house? Or is it strictly a sleeping style for you?